This gorgeous couple pendant features 3 interlocking links with a silver, rose gold and yellow gold finish. 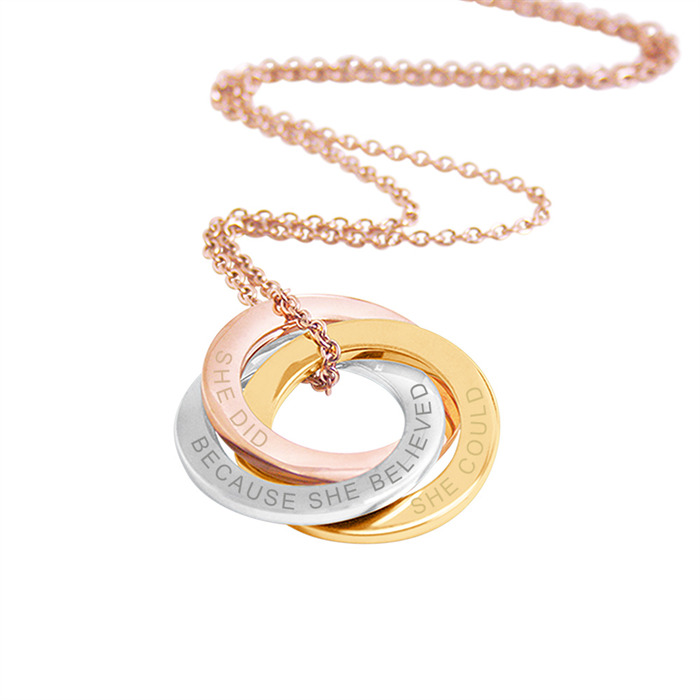 Each ring can be engraved with text of your choice such as an inspirational quote, family names, significant date, roman numerals etc. The stunning, classic design makes it the the ideal gift for graduations, birthdays, anniversaries, Mother’s Day, Christmas or Valentine’s Day or even as a special treat for yourself. Please include the following information in the message to seller section upon checkout or convo us with the details.